Fred Wendorf was bon on July 31, 1924 in Terrell, Texas. Throughout his childhood and growing up, he had always shown an interest in archaeology. As a teenager, he was known for roaming the fields of Kaufman County in search of Native American artifacts (World Renowned SMU Archaeologist Fred Wendorf Has Died). His curiosity with artifacts led him to enroll at the University of Arizona to begin a degree program in anthropology. However, he was not able to complete that degree because the following year, he reported for active duty in World War II. As a rifle platoon leader with the 86th Infantry Regiment of the U.S. Army’s 10th Mountain Division, Wendorf was given the responsibility of leading his platoon on an assault on the Nazis. During this battle, Wendorf was severely wounded and spent the next two years recovering in the hospital, and was awarded the Purple Heart award for receiving and injury from a weapon owned by the enemy, and the Bronze Star medal for his heroic service in combat. In 1948, Wendorf returned to the University of Arizona where he completed his bachelor’s degree in anthropology, and continued on to Harvard University for his Ph.D. From here, his archaeology career was born. Wendorf proceeded on to complete an astounding career from work to research to excavation. During his career, Wendorf made many contributions to the field of archaeology. Some were more important than others, but one thing is for sure; he was one of the most influential people in the field of archaeology and left a major impact on every site that he excavated and every artifact that he analyzed. On July 15, 2015 Fred Wendorf passed away due to a long-term illness. Although he is no longer with us, he lives on through his family. Wendorf is survived by his wife Christy Bender, his three daughters, Gail Wendorf, Cindy Ruiz, and Kelly Wendorf, in addition to his three sons, Carl Wendorf, Michael Wendorf, and Scott Wendorf. His memory is also carried on through his sisters Mildred DiMaggio and Mary Ann Stripling along with their families. Fred Wendorf’s major archaeological work spanned across two continents: Southwest United States and Africa. In the United States, Fred Wendorf excavated his first archaeological site; the “Middle Man” site near Midland, Texas. At the site, he was able to discover the Late Pleistocene human burial which contained the oldest human remains found in North America. This discovery led his to receive many Nation Science Foundation grants in order to continue his archaeological work. As an archaeologist for the Museum of New Mexico, Wendorf was given the task of locating the abandoned pre-Civil War Cantonment Burgwin of the U.S. First Dragoons near Taos. During this quest, he not only found the fort, but also an entire academic campus. In addition to excavating at Pot Creek Pueblo, which is the ancestral home of Picuris and Taos Pueblos. Both of these activities led to one of his major contributions to the field of archaeology, the Fort Burgwin Research Center. In addition to his work at the research center, Wendorf was also recruited by SMU to establish their anthropology department, which grew to become one of the university’s strongest departments. His combined involvement with both the research center and SMU led to the two merging. In 1964 SMU began acquiring Fort Burgwin Property while adding facilities to become an educational institution that would later be known as SMU-in-Taos. But these were just the start of his adventures as an archaeologist. At one point in his career, Fred Wendorf became fascinated with shipwrecks. He devoted some of his time outside of archaeology fieldwork to try to protect historical shipwrecks. His work with investigating a Spanish shipwreck off of the coast of Texas even led to the Abandoned Shipwreck Act of 1987, which protects historical shipwrecks located in U.S. waters. Even though archaeology is thought of as destructive due to the excavation of sites, but Wendorf committed to advocate for the preservation of archaeological sites and collections. At the time of his joining with SMU, Wendorf’s focus shifted from the American Southwest to northeast Africa (World Renowned SMU Archaeologist Fred Wendorf Has Died). 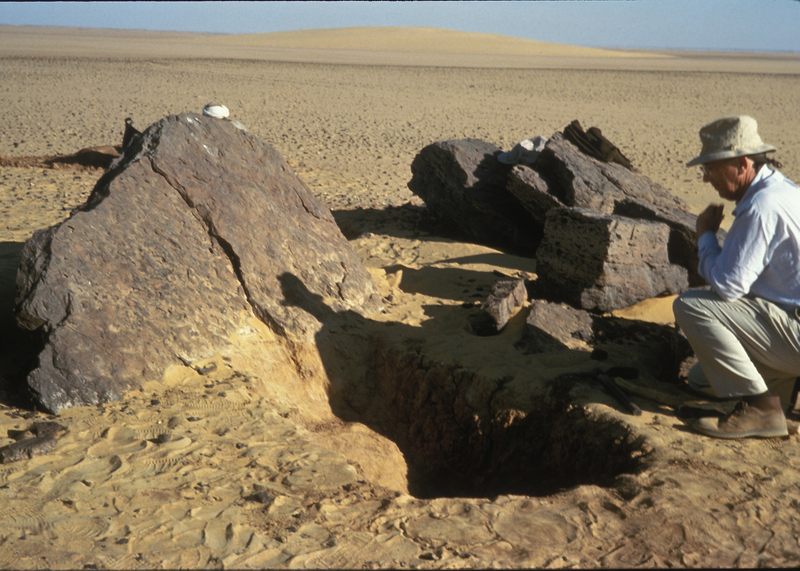 But his interest in preservation never wavered, when archaeological monuments in Lower Nubia were threatened to be destroyed by the construction of the Aswan High Dam in the Nile River Valley of Egypt, UNESCO (United Nations Educational, Scientific, and Cultural Organization) launched an operation to save the region’s rich archaeological heritage. This included Wendorf gathering teams of scientists from all over the world to unite and help rescue the Nubian prehistoric monuments that were threatened by the production of this dam. This led to another one of his major contributions to archaeology, the Combined Prehistoric Expedition. Which Wendorf became the director of alongside his “brother” Romuald Schild. Over the years, the Combined Prehistoric Expedition explored early human occupation and behavior along the Nile and in the Desert. This group’s work in Egypt discovered archaeological evidence for the emergence of agriculture and the Neolithic revolution. They found that in the Nile Valley, there was rich agriculture in the flood plain and noticed that Neolithic agricultural practices differed from Mesopotamia or Egypt. Nabta Playa was is one of the best examples of Neolithic populations and contained evidence for agriculture because the cattle were domesticated, houses showed modification through floral evidence, and the site contained grinding stones and stone tools. As a team, their work resulted in the publication of more than thirty books. Along with Wendorf’s own personal experience throughout this time in his book Desert Days: My Life as a Field Archaeologist. In 2003 Wendorf retired, ending his sixty-year adventure as an archaeologist at the age of 78. In the early years of his career, Fred Wendorf founded the Fort Burgwin Research Center located in Taos, New Mexico. This center merged with Southern Methodist University to create SMU-in-Taos. On this part of the campus, the students are able to get hands on experience in excavation and further their education in archaeology and anthropology. Also in his early career as an archaeologist, Wendorf contributed to the establishment of the Abandoned Shipwreck Act of 1987. The Abandoned Shipwreck Act of 1987 basically protects any abandoned shipwreck located in U.S. coastal waters. These shipwrecks are managed and treated as historical sites that are to be preserved for as long as possible. The Combined Prehistoric Expedition was probably Wendorf’s most important contribution to archaeology. Wendorf became the director for The Combined Prehistoric Expedition in 1962, leading expeditions to discover and rescue hundreds of prehistoric sites along the Nile river and and in Upper and Lower Egypt. This group of researchers and scientists from all over the world even continued to carry out adventures in the Western Desert of Egypt, Sudan, Ethiopia, and Sinai. Desert Days: My Life as a Field Archaeologist is Fred Wendorf’s personal memoir about his expeditions throughout his career. This is the largest work that Wendorf produced in his sixty-year career, and accurately and humorously depicts his interpretations of everything that he discovered, collected, and researched. This book can be purchased on amazon, and is highly rated and recommended by those who reviewed it. “His recently published book, Desert Days: My Life as a Field Archaeologist, is a record not only of a life, but of an epoch in the history of archaeology on two continents. This is history he not just witnessed, but to a significant degree he created it through his innovative approaches and endless energy, which should serve as an inspiration to subsequent generations of archaeologists” said Dr. Richard Pettigrew (Jones). 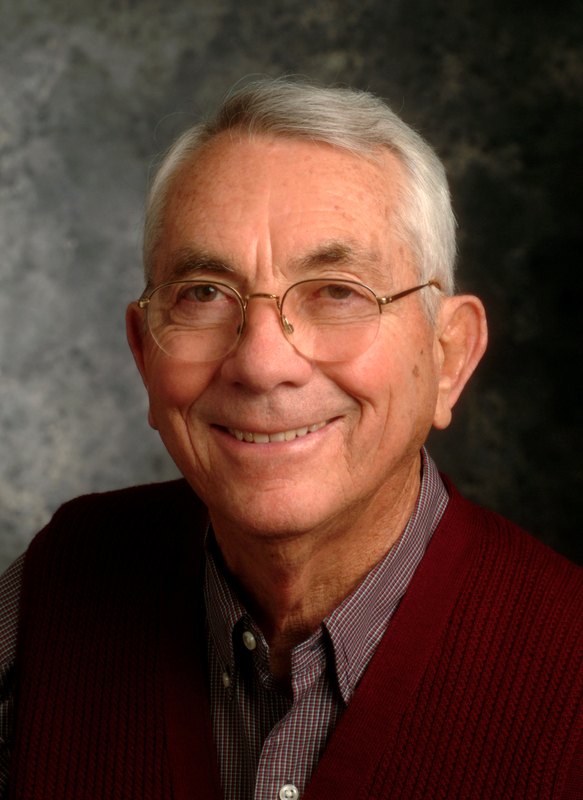 Dr. Wendorf has contributed to and written numerous publications, including Archaeological Studies in the Petrified Forest National Monument(1953);The Midland Discovery: A Report on the Pleistocene Human Remains from Midland, Texas(1955); Contributions to the Prehistory of Nubia(1965);The Prehistory of the Nile Valley(1976); The Prehistory of Wadi Kubbaniya (1989); Holocene Settlement of the Egyptian Sahara, Volume I: The Archaeology of Nabta Playa(2001); and now Desert Days; My Life as a Field Archaeologist(2008) (Pettigrew). Fred Wendorf’s archaeological career led to the discovery of many ancient artifacts. This led to him accumulating an expansive collection, and in 2001 he generously donated this collection of artifacts and environmental remains to The British Museum. His collection included remains from over 40 years of work (The Wendorf Collection). In 2003, Wendorf decided to retire, ending his archaeology career that lasted around sixty years. Throughout his life, Wendorf went on many adventures. Early in his career, he started out in Southwest United States, and then his focus shifted toward Africa. Fred Wendorf is considered one of the most influential archaeologists due to his commitment to sustaining the integrity of historical sites and the artifacts that were discovered with it. Wendorf’s discovery and contributions to the history of early human life in Southwest America and Northeast Africa led to him winning many awards (World Renowned SMU Archaeologist Fred Wendorf Has Died). In 2004 the Fred Wendorf Information Commons, a state-of-the art computer facility and library, was dedicated on the Taos campus in honor of Wendorf (World Renowned SMU Archaeologist Fred Wendorf Has Died). On Wednesday, July 15, Fred Wendorf passed away after a lengthy fight against a long-term illness. In memorial of his great accomplishments, his family suggests that those wishing to make donations in Wendorf’s memory may make them to SMU, designated to the Institute for the Study of Earth and Man (ISEM) or the Friends of SMU-in-Taos Fund (P.O. Box 750402, Dallas, TX 75275-0402). Memorial service plans will be announced at a later date (World Renowned SMU Archaeologist Fred Wendorf Has Died). Herr, Sarah A. "A New Way of Living." Archaeology Southwest. Adriel Heisey, 2013. Web. 28 Apr. 2016. "Honoring Fred Wendorf 1924-2015." - SMU. N.p., n.d. Web. 28 Apr. 2016. Hull, Bryson (January 4, 1999). "SMU Professor Leading Classical Dig in Egypt". Laredo Morning Times. p. 4A. Jones, Tim. "‘Desert Days’ An Interview with Dr. Fred Wendorf – The Archaeology Channel." Anthropologynet. N.p., 15 July 2009. Web. 28 Apr. 2016. Pettigrew, Dr. Richard. "An Interview with Dr. Fred Wendorf." Archaeology Channel. N.p., 24 Apr. 2009. Web. 26 Apr. 2016. Simnacher, Joe. "Denver Fred Wendorf, Renowned SMU Anthropologist, Dies at 90." The Dallas Morning News. N.p., 17 July 2015. Web. 30 Apr. 2016. United States. National Park Service. "NPS Archeology Program: Abandoned Shipwreck Act (ASA)." National Parks Service. U.S. Department of the Interior, n.d. Web. 30 Apr. 2016. "World Renowned SMU Archaeologist Fred Wendorf Has Died." SMU. Southern Methodist University, 15 July 2015. Web. 26 Apr. 2016.